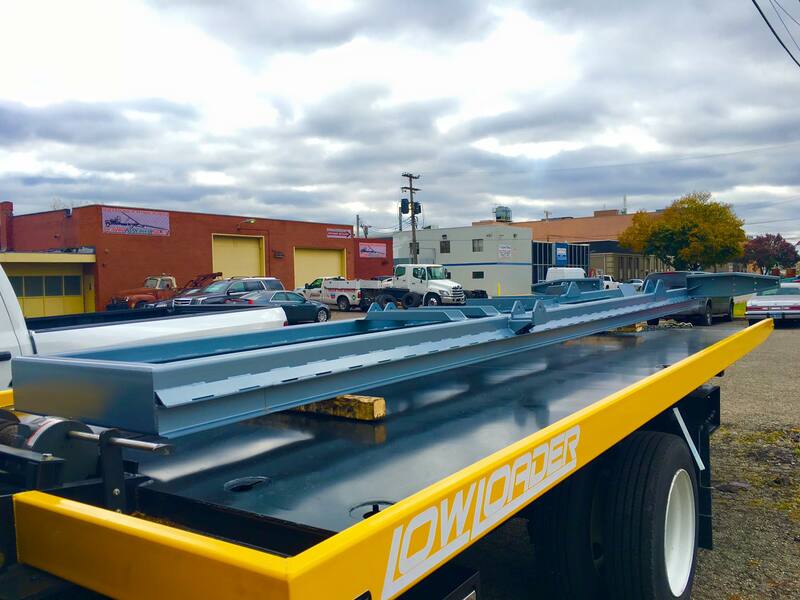 The Low Loader – If you are coming for a new truck, you have a ton of opportunities to make custom selections. Your Low Loader will be totally unique. Bed length options are 18′, 19′, 21′, 24′, 26′, and 28′. Bed width standard is 100”, or wide option 102”. The color of the bed and pylon is your choice. We can match the chassis, or you can pick a different color. The options for the bed finish are Smooth Plate or Diamond Plate, and we offer an additional option of a recessed chain tray near the cab. For the bed top, options are the No-Skid Finish on the outer edges, or we can Rhino Line the entire deck. We also offer optional Stake Pocket Side Rails, with optional Deck Flush on the top with Side Rails. The Low Loader is the toughest, strongest, lowest angle car carrier on the market. Learn more here: The Low Loader. Your Current Truck – If you want to keep your truck, but your bed is corroded or beat up and in need of refinishing, refurbishing, or replacing, bring it to Detroit Wrecker. We can repair, duplicate and/or replace any piece or part of any truck. From the smallest nuts, bolts and pins, to entire head racks and brand new custom beds and complete custom wheel lifts, we’ve got you covered. If you love your old bed, but it’s ready to be replaced, we can duplicate it for you. If your bed has some more life in it, but could really use some refurbishing, we can surgically remove the corroded areas and replace them, to extend the life of your carrier. If you liked your old bed but it could use some improvements, we can improve it. If you love your truck but wish the bed was a few inches wider, we can remove your old bed and build you a new custom bed to your new specifications. If you think it’s too corroded, too beat up, bring it to us. When it comes to completely refurbishing or restoring your truck, we can make it look and work like new. Whatever it is you’re wishing for, we can make it happen. All of our crew members are all talented and highly skilled. They are a group of expert craftsmen who work with us because it’s what they love. They take pride in the smallest nut and bolt. The finished product is nothing less than the best. 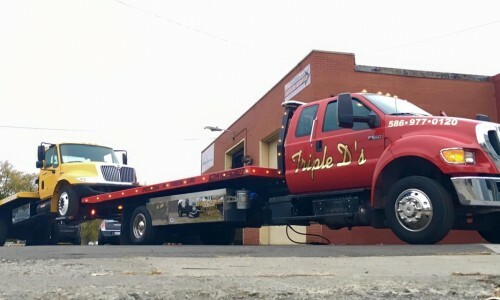 We are setting the new standard in towing.